To you Kiwis, and our overseas visitors, the Lyndale team sends you a “Big Welcome” to our website and thanks for visiting us. A lot of hard work (and fun), went into this site to make it an easy and informational resource tool for our friends and customers to use. Please take the time to browse around the site, and be sure to check out the 150 plus new additions to this year’s selection of quality plants. If you have any further questions, or some input about this site, feel free to contact us at any time, we’d love to have a chat with you. To put it simply, The Lyndale Team is a group of folk who are truly passionate about plants. Most of our key people have been involved in the Green Industry for the majority of their working lives, with some of them having spent quite a bit of time working overseas. This invaluable experience brings a whole new dimension and a lot of fresh ideas to Lyndale. Lyndale was originally established in 1960 and has become Australasia’s largest propagation nursery. 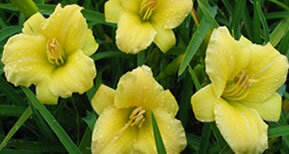 We specialize in supplying young plants to wholesale growers, landscapers and native revegetation projects. We currently have 4.5 hectares under cultivation, with a further 7 hectares dedicated to our own “mother” or stock plants for cutting collection. We are constantly searching the world for new plant varieties to bring to the New Zealand Gardener, as well as cultivating our most loved native plants, to protect and secure them for the future. We believe that the best way to protect threatened species is to put them in the hands of true “plants people”, who will ensure their survival. Our pride in our nursery and its philosophy is reflected in the quality and variety of the young plants we grow, our professionalism, and our commitment to excellent service. The Lyndale Team would like to sincerely thank those of you whose continued support has made us what we are, and invite new customers to come visit and see what’s cooking at the nursery. We wish you a safe and successful new season.